Drain tuna if necessary and mix with mayo, sriracha, garlic powder, salt and pepper. Mixture should be slightly moist but not excessively wet. 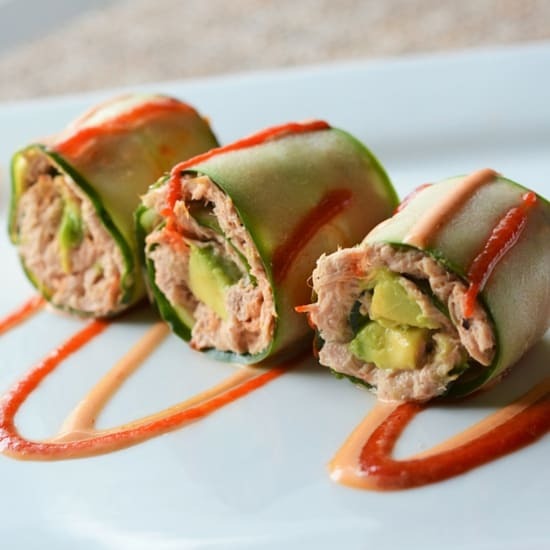 These 5 Minute Low Carb Spicy Tuna Rolls are deliciously fresh and come with just the right amount of kick! Thanks to yummyhealthyeasy.com for the recipe.